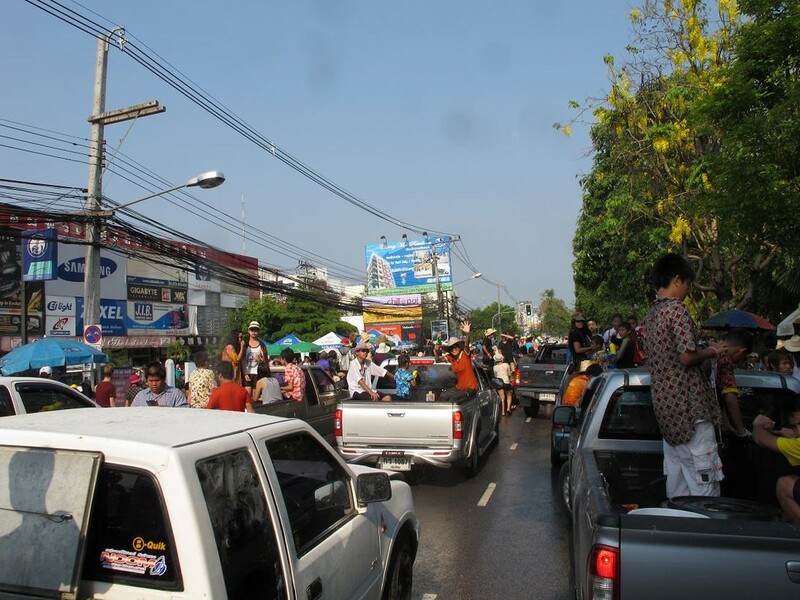 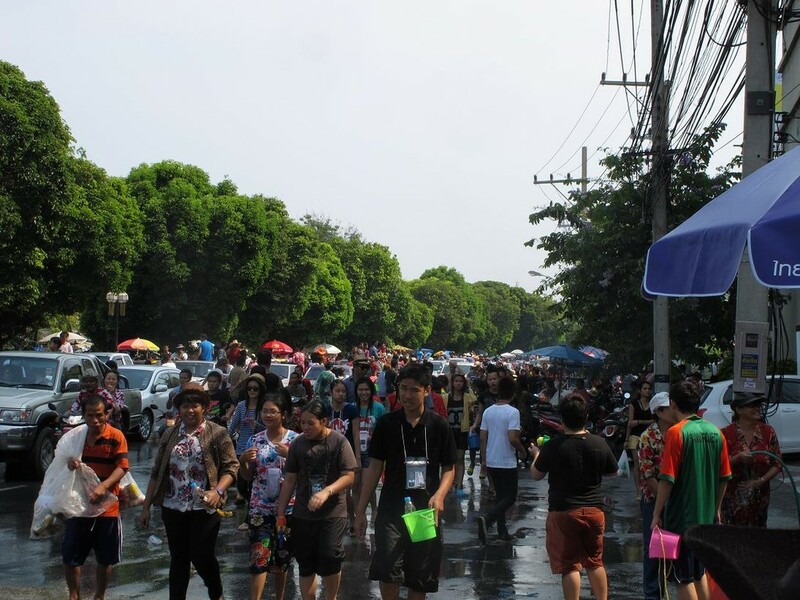 Songkran festival in Chiang Mai, Thailand 2011, together with my daughter. 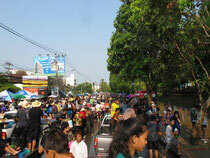 The Songkran festival is celebrated in Thailand as the traditional New Year’s Day from 13 - 15 April. 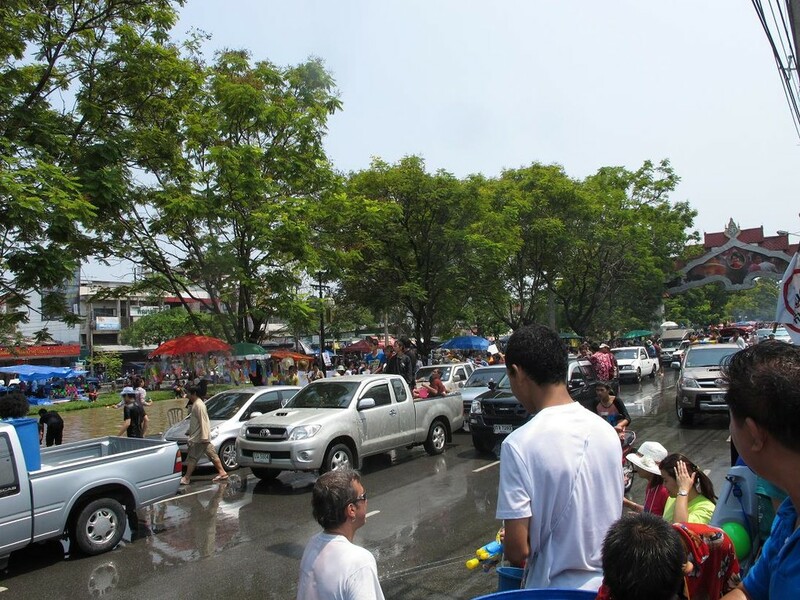 The most obvious celebration of Songkran is the throwing of water. 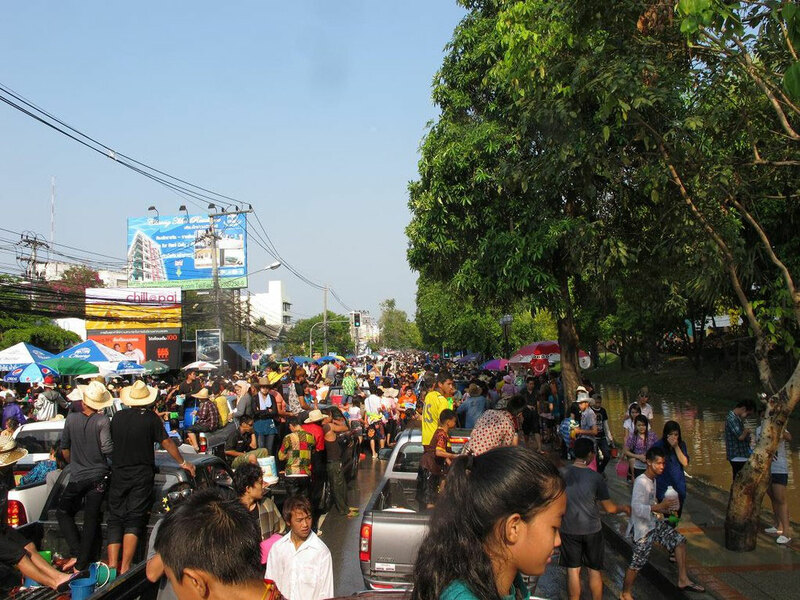 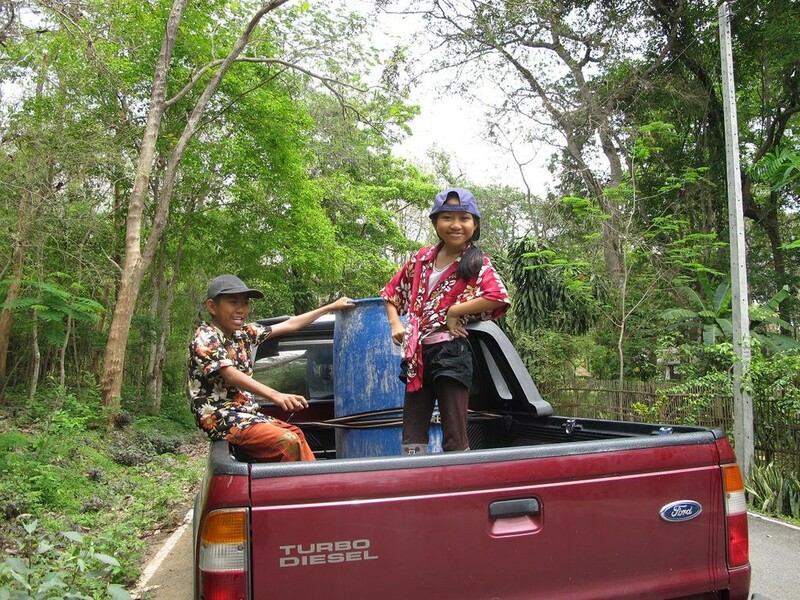 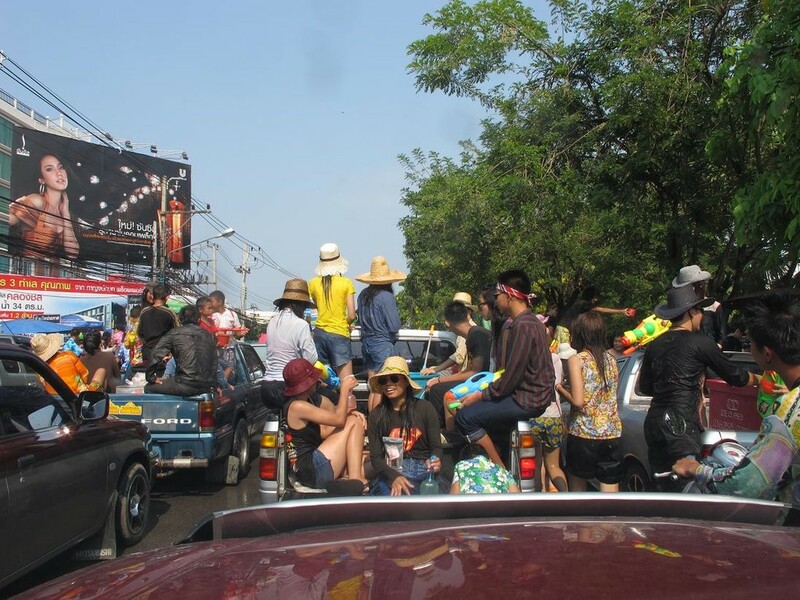 Thais roam the streets with containers of water or water guns, or post themselves at the side of roads with a garden hose and drench each other and passersby.